Almost up and running again, a week without a computer confirms just how reliant we are on them. Lovely card and colours Pat, hope you have a good weekend. 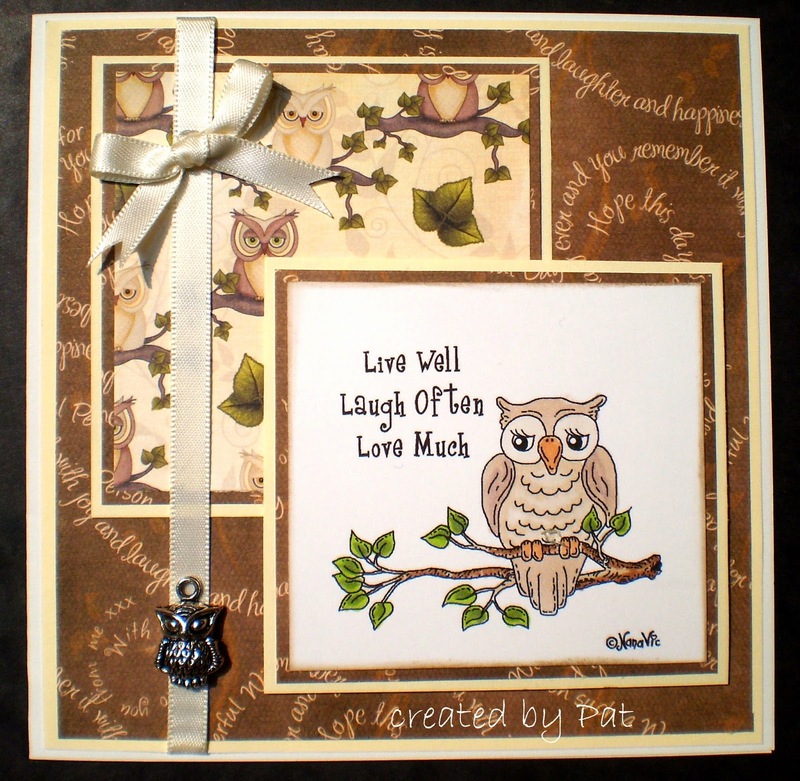 This is gorgeous Pat, I love the image, fabulous sentiment and beautiful papers too. Gorgeous card Pat, love the image and sentiment. Oh this really is adorable and you couldn't have brought more perfect papers so the fast that they were a freebie is amazing. Love this card - the charm is the perfect touch! Pat this card is so gorgeous. I love the cut owl image and the pretty papers. Your layout is just perfect and the little charm is so cute. Great card Pat. Good to see a Nana Vic image. He's so cute. Gorgeous card hun, love the image & the papers you have used!